The May Arts Design team is bringing you two days full of Christmas Crafts for kids! 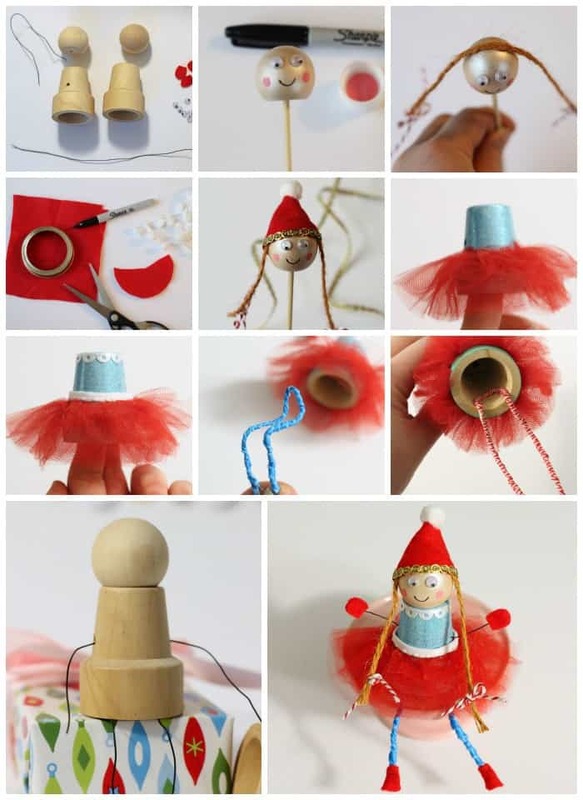 I’ve got a fun Christmas Elf kids craft for you. 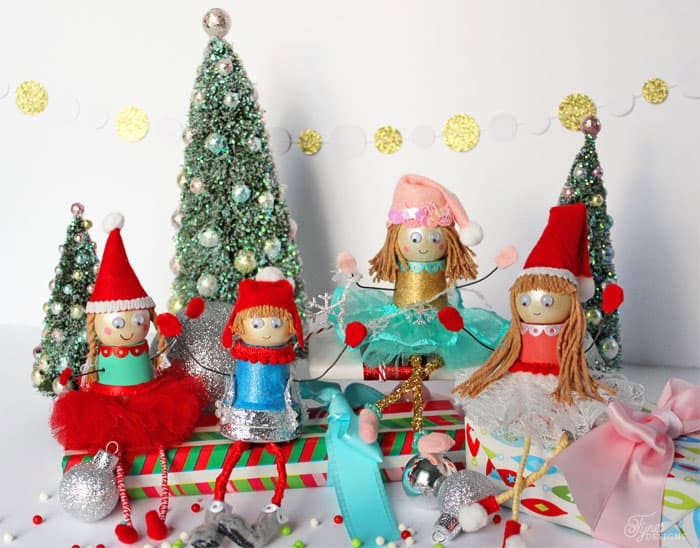 These elves are a super fun Christmas craft for kids. 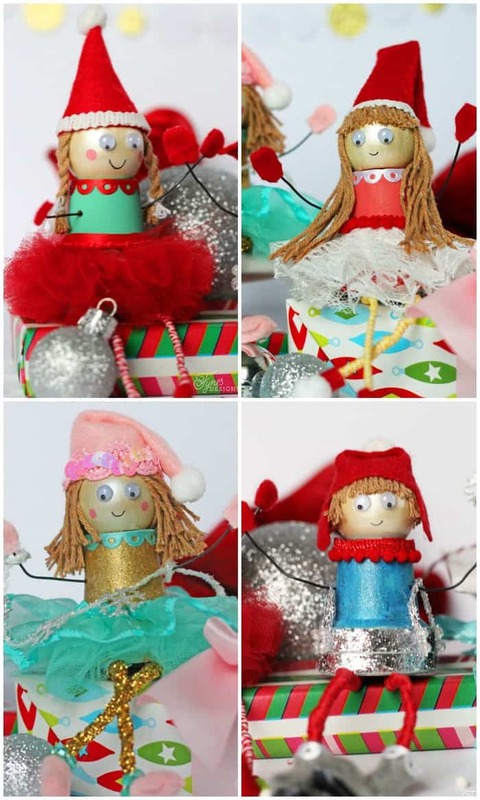 They perch on a shelf or mantle or could be hung on the Christmas tree, they might even make a cute Elf on the Shelf! May Arts Ribbon- I used 1.5″ Tulle, neutral bakers twine, 1.5″ Sheer ruffle, 1/4″ Adhesive ruffle, floral lace, small pom pom, large pom pom, 1/4″ chevron, Metallic ribbon (this is a perfect project to use up your scraps). I think the pictures tell the whole story, but don’t hesitate to ask if you have a question! 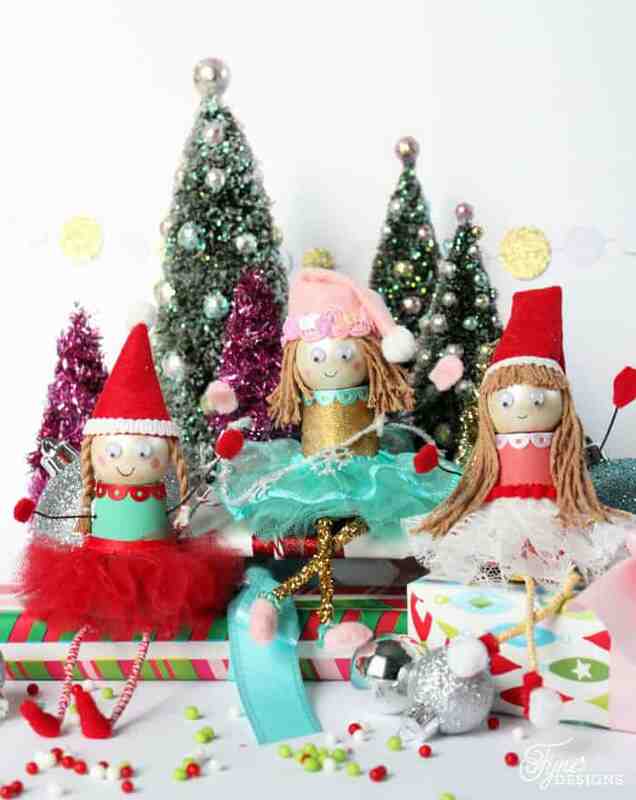 There are so many combinations of outfits you could create for these little Christmas elves. I can’t lie, I loved making them!! This craft would be best suited to kids over 5, with help from an adult with the hot glue, but my little guy loved painting and helping choose ribbons too. These little Christmas ornaments would make a great gift idea for a grandparent, friend or neighbour that the kiddos can make themselves! Leave a comment here, on the May Arts blog , and along the way for your chance to WIN a great Ribbon prize from May Arts! First of all – HAPPY HAPPY BIRTHDAY!!! And secondly, these elves are so cute. My kids would have loved to make them when they were little. Those are darling little people. I had to smile when I saw them. they could stay out all the time – not just at Christmas. So cute and easy for all ages to make!! TFS! I love all the sweet little details on your elves! Hope you have a great time celebrating ALL week long!!! 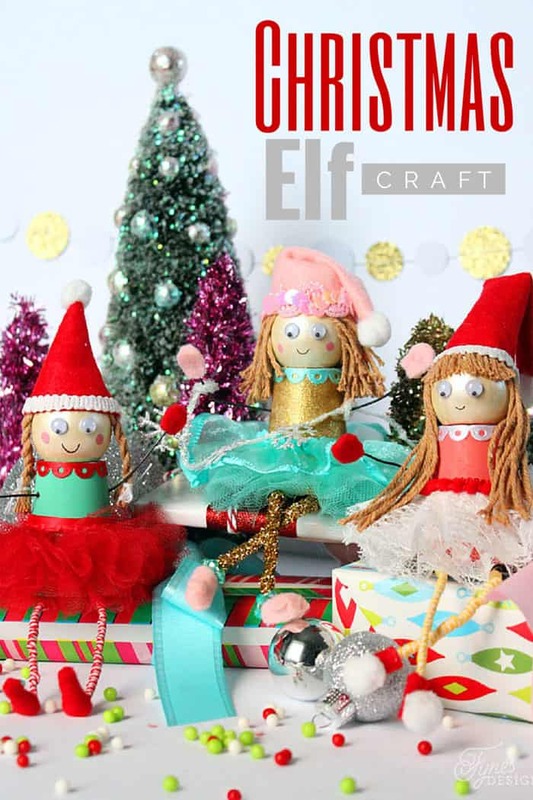 LOVE LOVE LOVE your SUPER CUTE little elves and what FUN it must be to make them => THANK YOU for sharing your CREATIVE INSPIRATION!!! How cute and fun–love the outfits. Oh my, these little elves are adorable! They look like they would be so fun to create! Their little mittens, hats, feet, and all the little details are just adorable. Thank you for sharing this cute project. Hope you have a beautiful Birthday weekend! So cute, Virginia! I know our kids would love making them! Happy Saturday! Hope your Birthday was wonderful! Nice project, I think some kid would love doing this. TFS. This is just adorable and such a great idea! Popping over from Merry Monday! These are too cute, very vintage looking. An excellent craft to do with kids. I love these elves. I was so excited to see that you linked them up to Dare to Share this week. Thank you so much for linking up, you are today’s Dare to Share Feature of the Day! So stinkin’ cute!! Love these. — Oh, and happy birthday! You share a birthday with my mom, so yay for Nov. 21! Pinning. Thanks for linking up to Show Me Saturday. Thanks for sharing @DearCreatives party! These are super cute. Pinned & tweeting ….savedfor later. 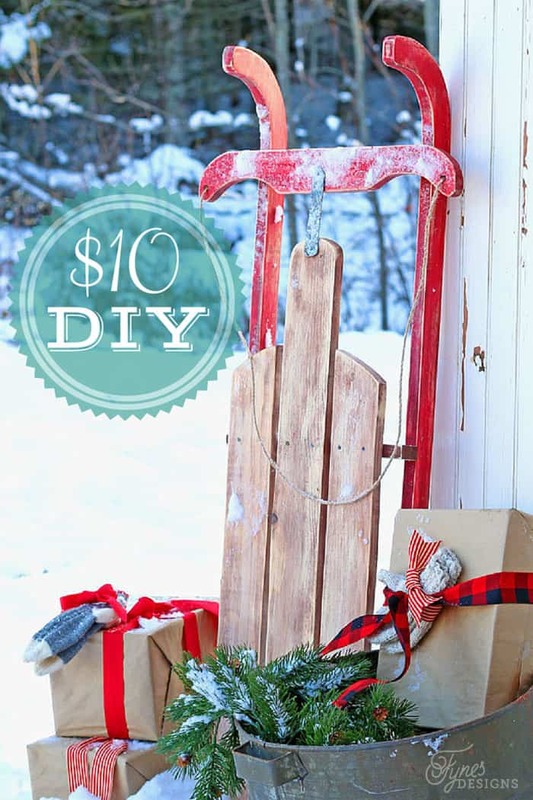 I hope I can do this project over the holidays, super cute!